Repeated use of fungicides with the same mode of action can result in the selection of fungicide-resistant strains of plant pathogens. 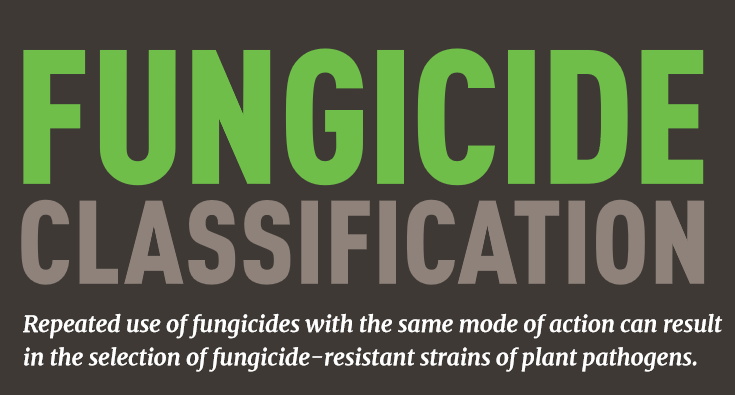 CLICK HERE to get a fungicide classification chart that groups fungicides and fungicide premixes by their mode of action. Use it to assist in the selection of fungicides to maintain greater diversity in fungicide use and rotate among effective fungicides with different modes of action to delay the development of fungicide resistance.